Facing mounting debt and approval delays for his projects, Suraj Parmar, promoter of Thane-based realty group Cosmos, on Wednesday, committed suicide. Kasaradavali police said the 45 year old Parmar had shot himself with a pistol in a so-called sample bungalow in a project he was developing in the area. Policy paralysis and political interference are rampant in Mumbai and Thane and could soon lead to more developer sucides, warned property developers that Business Standard spoke to. In his 15-page suicide note, Parmar, who was also president of the Maharashtra Chamber of Housing Industry, has allegedly cited both these factors among the reasons for taking his own life. While Mumbai is home to India's costliest real estate, Thane is the fastest growing residential market in the country. “Parmar used to fight politicians and officers over corruption but most of us settle the matter and close it, (but) those kind of margins are no more left in real estate to pay politicians and officers," said the managing director of Mumbai based developer. He declined to be identified given the sensitivity of the matter. Builders, he pointed out, are caught between stagnant sales on one hand, and corruption and delay in approvals on the other. The housing market in the Mumbai Metropolitan Region has recorded its worst half-yearly performance since the financial crisis of 2008, with sales weakening even as two lakh units remain unsold, according to property consultant Knight Frank. Worse, new housing project launches have fallen by almost half, or 47 per cent, during the first half of the year. “Politicians and officers are exploiting and squeezing developers. It has become difficult to run the business. Most of the developers are under distress and balance sheets of developers are under stress due to delay in approvals,” said the founder of another large group in Mumbai. This person, too, declined to be identified. "Like farmer suicides, soon you will hear developer suicides,” he cautioned. Pranay Vakil, founding chairman of Knight Frank, says there is total confusion in the way the government is coming out with policies. “Development control rules have lapsed long ago and new set of rules are yet to be announced despite the fact that they are 20 year policies. 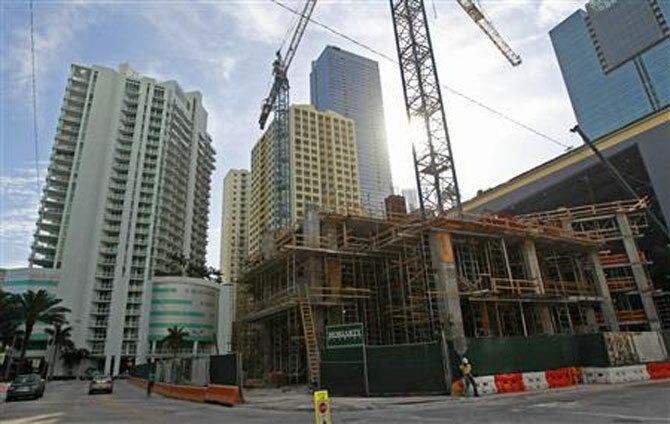 Developers' interest meter is ticking and nobody likes uncertainty,” he said. As an illustration, he pointed out that if under the old policy, a developer paid Rs 5 crore (Rs 50 million) for certain development rights, but needs to pay Rs 8 crore (Rs 80 million) under new policy, he is not allowed to set off the Rs 5 crore already paid and instead must pay the full Rs 8 crore.